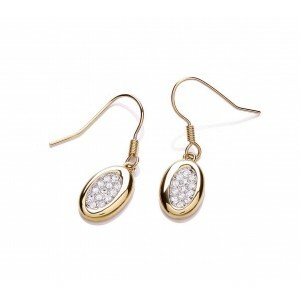 These classic oval earrings have been plated using 18k yellow gold with pave set clear crystals. Easy to wear and a lovely addition to any collection. Featuring a fish hook fastening these earrings are suitable for pierced ears only.